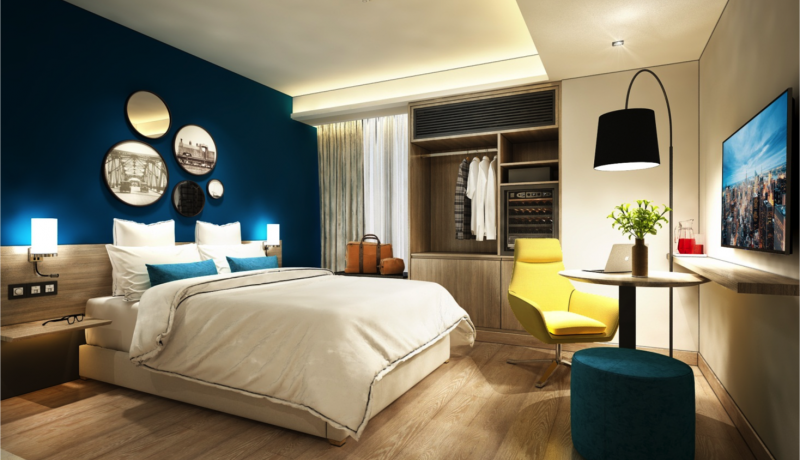 Aspira Silom is a new trendy hotel, centrally located at the southern part of Silom a perfect choice for accommodation be it either business or leisure travelers, it provides splendid access to all of Bangkok’s cultural sights. Enjoy the countless other city attractions via “Surasak and Chong Nongsi skytrain” just an 8-minute walk away. Surrounded by shopping and entertainment options: Asiatique The Riverfront, ICONSIAM, Jim Thompson, Siam Paragon, MBK and Central World. Alternatively, take a boat to nearby tourist spots such as the Temple of Dawn, floating market, flower market, Grand Palace and Royal Barge Museum. A short walk to Charoen Krung Road will lead you to many new trendy new bars & restaurants as well as old traditional Bangkok eateries and local markets. Aspira Silom offers fantastic value for money Aspira Club member rates are even more attractive! 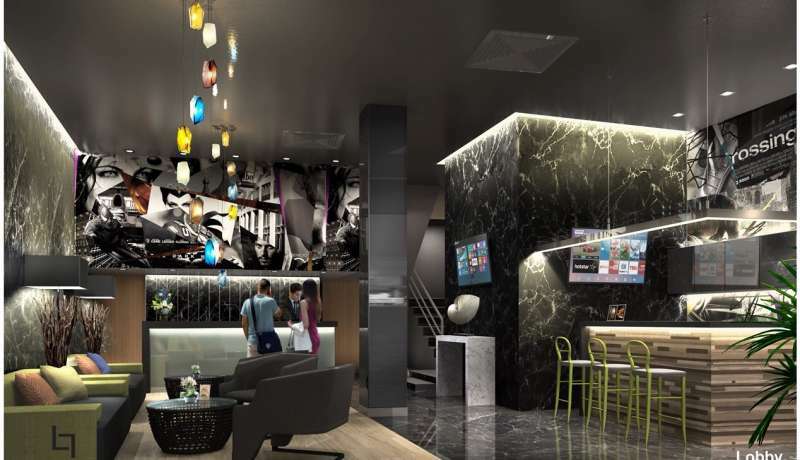 Fitted with swift fast internet located on Sukhumvit Soi 22, T2 Sukhumvit Bangkok offers great value for money amidst the heartbeat of Bangkok’s prime shopping districts, entertainment venues, restaurants, cafes plus pubs. Our 45 bedrooms are flawlessly furnished with up-to-date interiors communicating a mood of calmness combined with comfort. Vibrant colors, sleek fittings, state of the art facilities including flat screen cable TV, swift Wi-Fi, device charging sockets, plus Netflix access allows one experience, enjoy and like at your pace. Your crew at T2 22 have an unlimited choice of activities to add to your “Must Do List” while visiting Bangkok, just ask your crew host who will be delighted to make suggestions, recommendations to embrace and experience this often chaotic and vibrant city with relish. Located on Sukhumvit Soi 22, T2 is a mere 15 minute stroll to BTS (Sky Train) Phrom Phong and Emquartier international Food & Shopping mall. Bangkok's famous Temple of dawn, Chao Phrya River plus the Iconic Icon Siam mall is a short ride by BTS to Saphan Taksin station. There are thoughtful design touches throughout, 24/7 reception support, ongoing community events series, chill spaces and a whole lot more. We took care of everything to create a space that genuinely supports a sustainable lifestyle. This is a new way to imagine home. By sharing space and resources we have an opportunity to make a hugely positive impact – together. Nestled amidst this vibrant city of Bangkok, is a truly inspiring boutique hotel called Aspira D’Andora. Aspira d’ Andora, original inspiration stems from the quiet little country of Andorra perched high in the Pyrenees. Solitude, calmness and inspiration is the essence of Aspira D’Andora, a truly unique hideaway yet within easy walking distance of the main artery Sukhumvit, where one can hop on the sky train, or delve into the depths of this vibrant and often chaotic city on the MRT underground train or simply explore the kaleidoscope of modern shopping malls. The sense of arrival is all embracing, be it the funky artifacts, the nurturing colors or lemongrass aroma, or the vibes all communicates a sense of well-being while one is escorted to the communal lounge for a refreshing Thai welcome drink and formalities. Breakfast is served at the communal lounge where all day beverages are available. Each of the 23 accommodations is individually designed a story in itself, be it from the imported antique woods that adorn the floor, the 14’’ high quality bed that guarantees the perfect slumber, or the multi-tasking walk-in shower space plotted amidst granite texture color plus the collage of artworks that adorns the walls crowned off with a splattering of lights above the headboard to set your mood. Blazingly swift free Wi-Fi, large LCD TV, refrigerator, complimentary tea/coffee plus multiple ports to re-charge your devices are all just a touch away. A truly fabulous location offering a broad range of truly international restaurants, lounges, wine bars, coffee shops, noted points include Terminal 21, Emquartier and Emporium shopping malls, a traditional Muay Thai training centre, short stroll to Asoke BTS or Benjakiti Park to keep your jogging or whatever in form makes Aspira D’Andora the perfect choice for a truly inspiring and memorable stay in Bangkok. Aspira DaVinci Sukhumvit 31 is ideal for those who want to be in the heart of shopping with the shopping centres Robinsons Department Store, Terminal 21 and The EM District conveniently nearby plus all easily accessible from the BTS Stations. In addition the abundance restaurants, bars and clubs, a few minute's walk away or to the main entertainment areas 5 minutes by taxi. Aspira Grand Regency Sukhumvit 22 offers quality reasonably-priced four-star accommodation in one of Bangkok’s most famous entertainment, shopping, and business districts. The property boasts 119 rooms designed with local silk and teakwood and all rooms are each equipped with modern facilities and amenities much needed by both business and leisure travellers. Rooms vary from 32 to 43 sqm with choice of king or twin beds. A rooftop swimming pool is available all day, free wifi is available at lobby and all rooms. Book direct with us for great rates and enjoy our loyalty program for member with further discounts and benefits. Aspira Hana Residence Thong Lor is a brand new serviced apartment conveniently located in one of the city’s trendiest neighborhoods for dining and night out. Nestled in the residential area of Thong lor the property is just minutes away from a restaurant-concentrated zone. Offering a great level of comfort and privacy to those who wish to stay in the city center and also within easy reach to all that this vibrant capital city has to offer. The property comprises eight floors of elegantly-designed serviced apartments with a range of facilities and amenities that resemble those of a beautiful hotel in Bangkok. 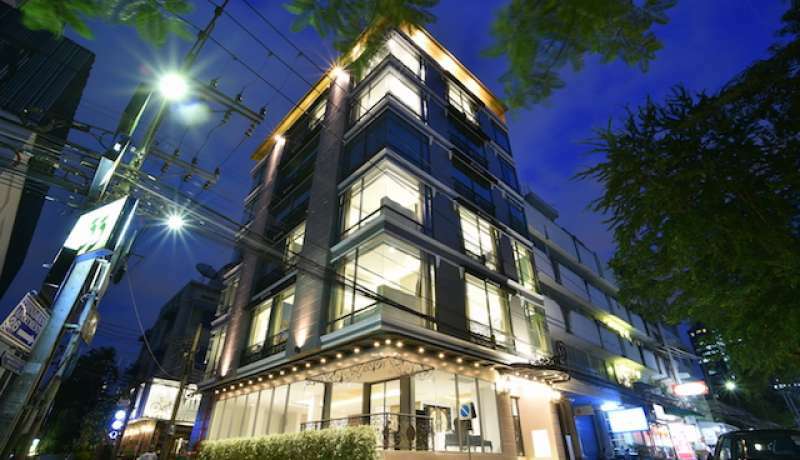 It is located in glamorous Thonglor, home to expatriates and the city’s affluent community. The 40 apartments has varying sizes of apartments with a choice of one or two bedroom units to serve different capacity needs. Apartments are tastefully decorated with a modern design using Laminate wood integration. All our comfortable serviced apartments have been designed with our valued guests’ comfort in mind. 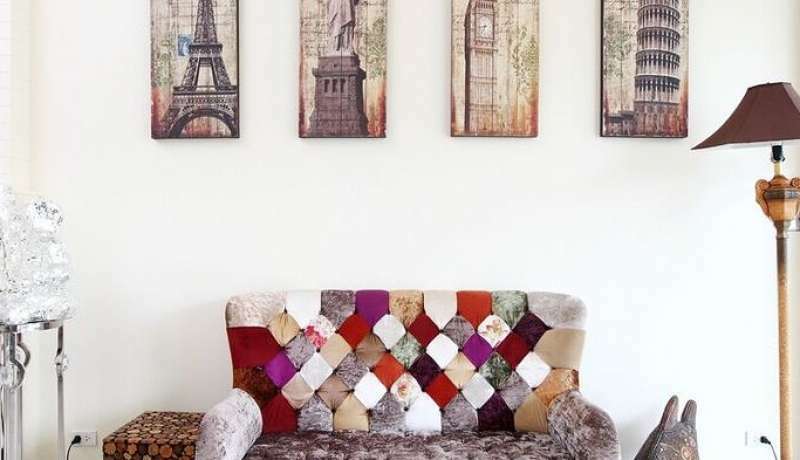 Therefore each apartment has a spacious living area, a fully equipped kitchen, a stylish bathroom with separate shower and bathtub, and balcony with views overlooking the colorful local streets and skyline. Aspira Hiptique Sukhumvit 13 provides all one could need for an exciting yet budget-friendly holiday: midrange rates, this chic & hip hotel is a most satisfying address for travelers who want to immerse in a mix of cultures with much convenience. Amenities and facilities dedicated to unwinding and relaxation, and, best of all, a location close to the city's cultural and modern attractions. After a day of exploration, travelers are welcomed into spacious and stylish rooms, all of which are aimed to achieving a good night's sleep. Each room features Thai contemporary design with exquisite fabrics and decor, plus amenities that provide utmost comfort like a flat-screen TV, Wi-Fi Internet connection, and bathroom with complete bath amenities. To top off the vacation experience, guests can momentarily step back and admire the city's impressive show of lights from our rooftop bar and swimming pool. Rooftop bar with a fantastic sky view of Bangkok. It is located on the 8th floor at the rooftop of the hotel where you can enjoy a wide range of beverages while being in a cozy environment bringing the most comfortable leisure space. We present all urban charms with a range of beers, wine, cocktails and fully stocked bar as the night transforms into a chill-out and relaxed venue open from 5:00pm to 12:00 Midnight. 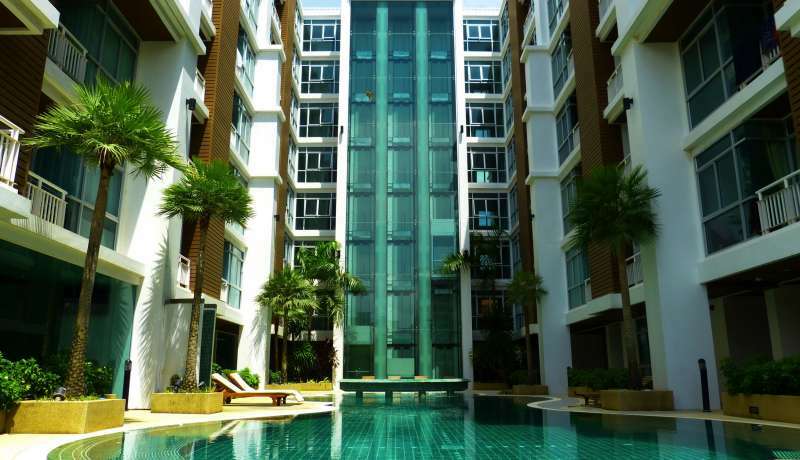 Aspira Prime Patong is located in Patong Beach, Phuket. All our accommodation are provided with comfortable bedding, a bathroom with shower and amenities, free wireless internet access, satellite feed TV channels, direct dial phone service, air conditioning with individual controls and a safety box. 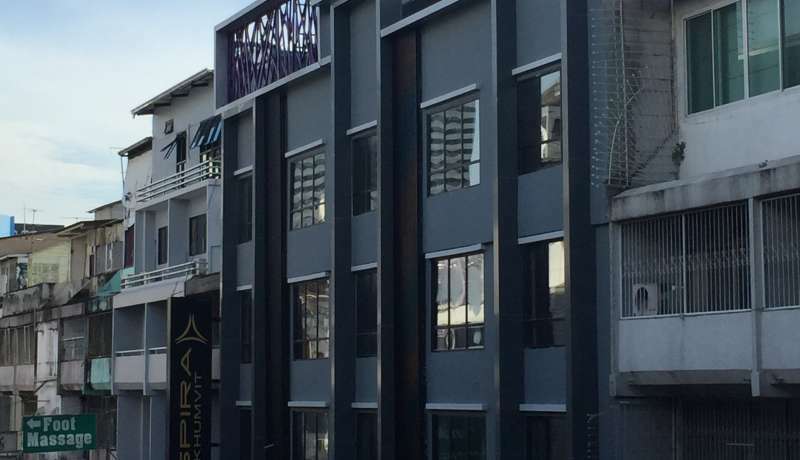 Aspira Patong Phuket is ideally located on Ratuthit Songroipi Road, Patong, Kathu, 5 minutes walk to Patong Beach and 10 minutes walk to Jungceylon Shopping Mall. Aspira Ruamrudee Residence is a completely renovated property in heart of Bangkok, in the popular residential area of Ruamrudee. Tucked away in the residential areas of Bangkok’s business district just off Wireless Road, the property offers easy access to an upscale neighborhood surrounded by Trendy Shops, hip Restaurants and Clubs. With prime location in Soi Ruamrudee, it is merely about 7 mins walk to BTS Sky Train Ploenchit BTS Station and easy to access the South Ploenchit expressway. International Shopping Malls like Central Embassy Shopping Mall and Central World Plaza Shopping Mall are just a few minutes away from the serviced apartment. To comfort our guests, all the units of Aspira Residence offer spacious rooms of 30-90 sqms. Our apartments appeal for long stay guests and all units are are decorated with new and elegant interiors and equipped with full in-room amenities like washer, kitchenette and modern bathrooms. Aspira Ruamrudee Residences is the perfect choice for those travellers who are looking to stay in Bangkok city centre for either a short time or a long time, but at the same time demand to enjoy the calmness that Bangkok has to offer. The residence boasts a mini mart, laundry corner, fitness center, lobby lounge with flat screen TV, free wifi, free electric shuttle. Our modern apartments vary in size and can accommodate up to two persons in our executive studios & residences or up to 4 persons in our two bedroom executive units. Each residence offers generous living space for an extreme homelike stay experience with fully air condition, fully equipped kitchenette, modern bathroom and bath amenities, separate living room & sofa corner. Long stay offers are available for minimum 3 months stay. 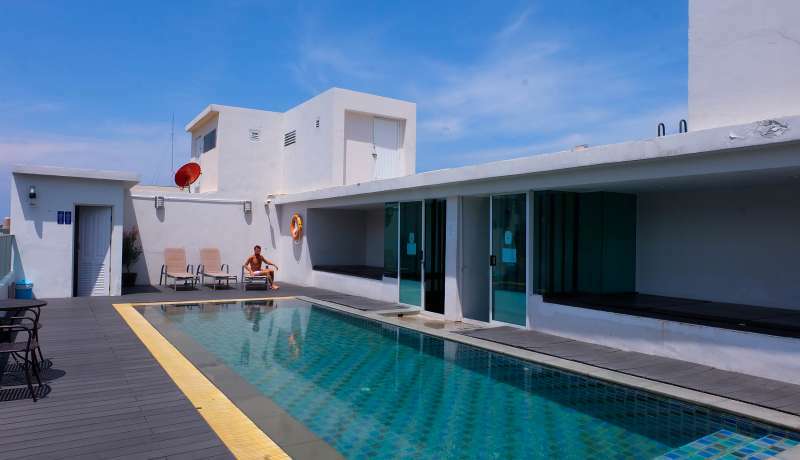 Aspira Samui an affordable Samui accommodation in a convenient location. Featuring 71 comfortable and elegantly designed rooms. 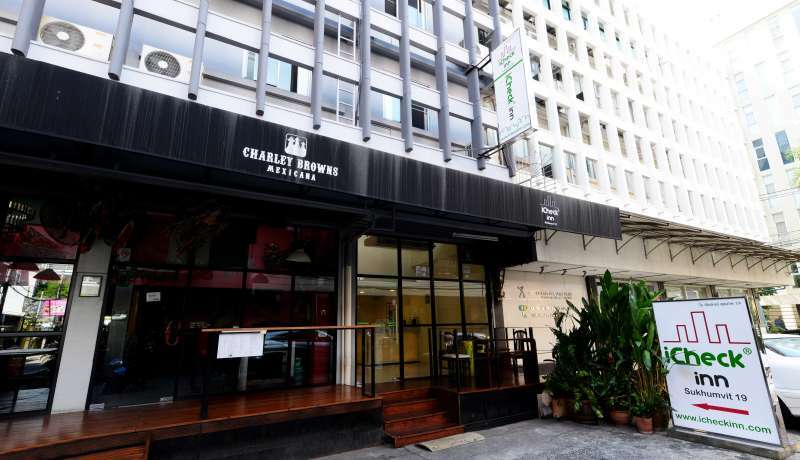 Located in the centre of Chaweng Town, guests can enjoy easy access to all that the lively island has to offer such as the popular Chaweng and Bohput beach, shopping areas, restaurants and major tourist attractions. Aspira Skyy is conveniently Bangkok hotel located on vibrant Sukhumvit Soi 1 in the heart of Bangkok's central business district, beside world-renowned Bumrungrad International Hospital, Southeast Asia’s largest medical center, close to embassies, Skytrain Station, within walking distance to the entertainment and shopping area. The property is a refurbished new 4 star boutique hotel (60 rooms) and design of easy living and absolute functionality is intended for the discerning travelers who are seeking for unique and practical accommodation concept for either short or long-stay. This is the perfect destination for both business trips and holidays. The hotel offers 24 hour Reception, 24 hour Security and Halal Food is available at our restaurant. 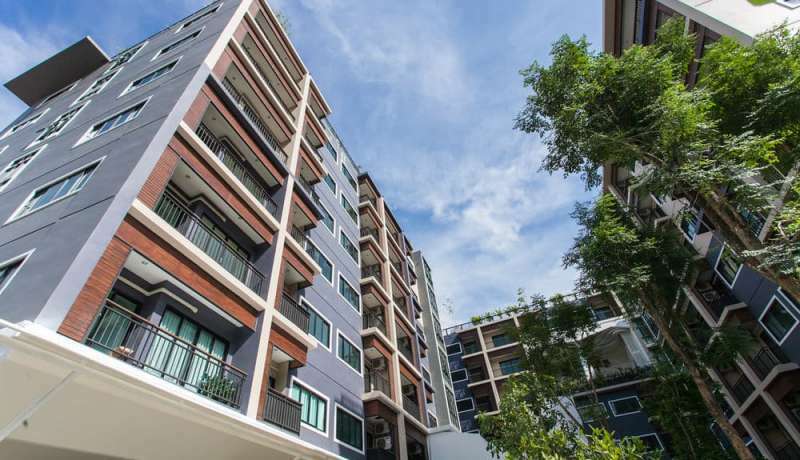 Aspira Sukhumvit is located on Soi 7/1 offers a fresh, new, cost effective solution to accommodation in one of Bangkok’s most thriving districts. Situated at the heart of Sukhumvit Road, within easy reach of the Adult Nana Entertainment Plaza. This boutique hotel is NOT for families but appeals much more to adult single male travelers or group of men. This newly built property offers 50 modern air-conditioned rooms stylishly furnished with a bright, contemporary interior. Each room is fitted with a flat-screen cable TV, electronic safety deposit box, electric kettle (upon request). Modern bathrooms include a walk in shower with a selection of complimentary toiletries. Complimentary coffee / tea / chocolate is available at the lobby for all guests. Breakfast is available at Chill in Bar & Restaurant from 7.00 am onwards till late evening. Welcome to Aspira One Sutthisan ! 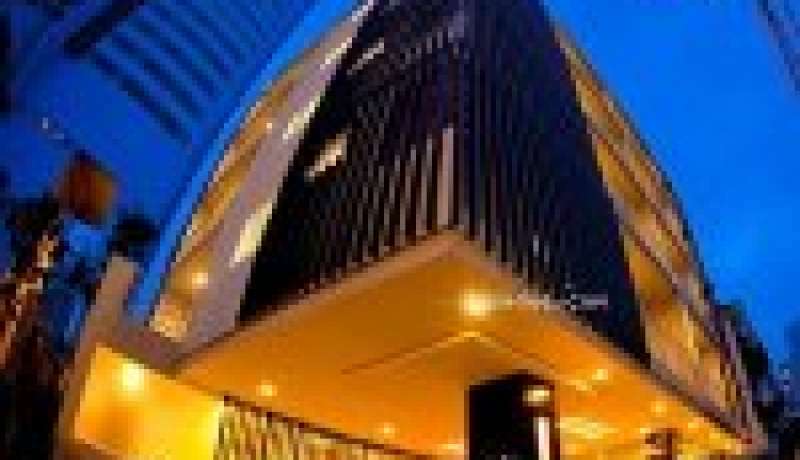 Aspira One Sutthisan is a new trendy hotel, centrally located at the part of Ratchada perfect choice for accommodation be it either business or leisure travelers, it provides splendid access to all of Bangkok’s cultural sights. Enjoy the countless other city attractions via “Sutthisan MRT Station” just a minute walk from the Hotel. Surrounded by shopping and entertainment options: Central Rama 9, Night Market , IT Center etc, A short walk to Ratchada Road will lead you to many new trendy new bars & restaurants as well. Aspira One Sutthisan offers fantastic value for money Aspira Club member rates are even more attractive! 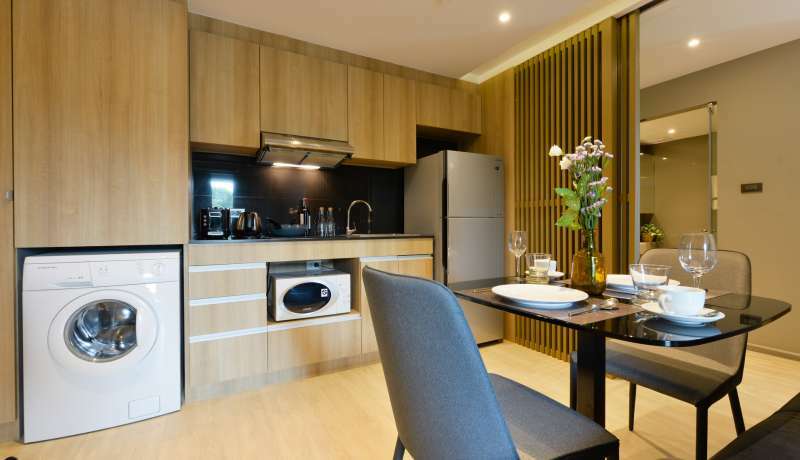 Aspira Tropical Residence Thong Lor, premium serviced apartment, ideally located on Sukhumvit 49 offers you easy access to many popular attractions. Located in Sukhumvit 49 through Thong Lor 13, it is one of Bangkok's most popular residential and entertainment neighborhoods, the residence offers its guests spacious yet cozy serviced accommodation complete with all modern amenities to make you feel like home. Featuring 61 apartments with balcony ranging from 40 sq m – 80sq m, available for daily and monthly stay, each unit is fully equipped with kitchen and convenient amenities. At the end of a long day out, retire to the serviced residence to rejuvenate. Spacious and elegantly furnished, the apartments come in various sizes, ranging from cleverly designed studios to two-bedroom apartments fitted with separate living and dining areas, flat screen cable TV, en-suite bathrooms, a well-equipped kitchenette as well as a workstation for when work beckons. Washing machine is available upon request with advance notice. Beverly 33 offers 71 modern and comfortable Suites for long term residents. Great facilities are available for all guests: lounge, sauna, fitness, outdoor swimming pool. Easy access to Phromphong BTS sky train and Sukhumvit MRT underground train. iCheck inn Central Patong is a great choice for savvy leisure travellers, providing a relaxed, affordable and hassle-free stay all the time. Located adjacent to Patong Beach, Phukets most popular and well-developed beach. 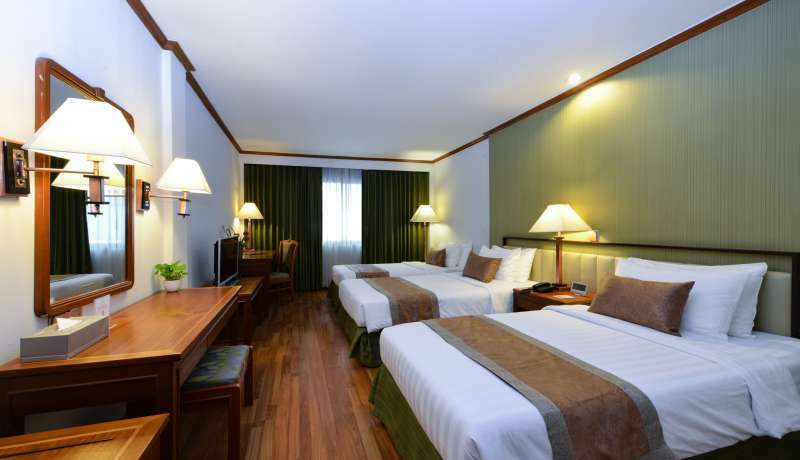 iCheck inn Central Patong features brand new rooms with furnished with modern décor. Each room comes with a cable TV, mini bar and a safety deposit box. Free toiletries and a hairdryer are included in an en-suite bathrooms. Comfortable bedding experience awaits you. Enjoy your own private balcony (deluxe rooms), and 32 inch LCD television. Staff at the 24-hour front desk can assist guests with tours, sightseeing tips and what to do in town while staying with us. The hotel also offers laundry services. Stay connected with free Wi-Fi throughout the hotel. BREAKFAST INCLUSIVE - iCheck inn Klong Muang is a 4-star property situated close to the white sands of peaceful Klong Muang Beach. 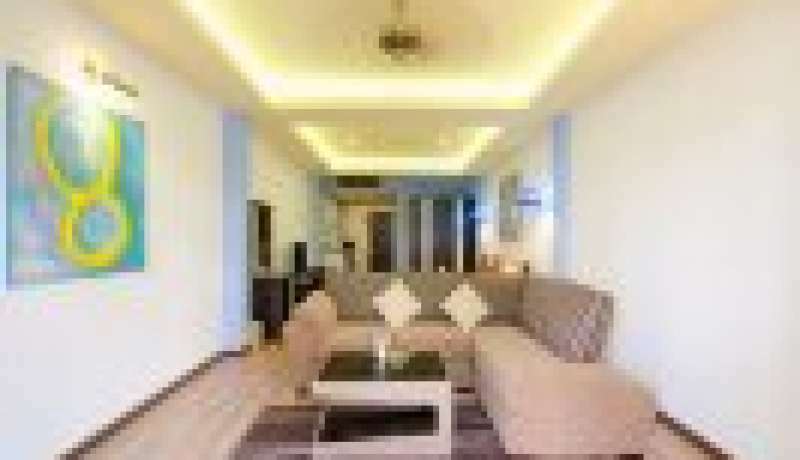 It features large outdoor pool in tropical gardens and renovated value for money & comfortable rooms. Situated in the heart of Ao Nang's tropical paradise of Ao Nang, iCheck inn Ao Nang Krabi is perfectly placed for those wishing to explore an area blessed with world class beaches and activities. Just 300 meters from Ao Nang Beach, the area surrounding the hotel buzzes with activity from the selection of nearby restaurants, bars, spas, and shops. iCheck inn Ao Nang Krabi consists of 46 modern lifestyle rooms which have been specially designed to offer the best in both comfort and convenience with each decorated with a bright, airy, and welcoming interior. Guests are invited to take advantage of a host of excellent in-room amenities, including individually controlled air conditioning, international cable TV, an electronic safe, king-sized bed, mini bar, and free Wi-Fi as standard. The 24-hour reception is complete with complimentary tea, coffee, and chocolate. iCheck inn Ao Nang Krabi is a perfect venue for modern individual travelers and those looking for a truly memorable and fun holiday destination. iCheck inn Mayfair Pratunam is located close to the commercial areas of Bangkok, making it more suited for business travelers. For tourists, nearby attractions include Pratunam Road and its lively market, The Emerald Buddha Temple, and the National Museum. iCheck inn Nana located on Soi 7/1 offers a fresh and cost effective solution to accommodation in one of Bangkok’s most thriving districts. Situated at the heart of Sukhumvit Road, within easy reach of the Adult Nana Entertainment Plaza. This boutique hotel is NOT for families but appeals much more to adult single male travelers or group of men. The property offers 47 modern air-conditioned rooms stylishly furnished with a bright, contemporary interior. Each room is fitted with a flat-screen cable TV, electronic safety deposit box, electric kettle (upon request). En-suite bathrooms include a walk in shower with a selection of complimentary toiletries. Complimentary coffee / tea / chocolate is available at the lobby for all guests. Breakfast available at Chill in Bar & Restaurant. 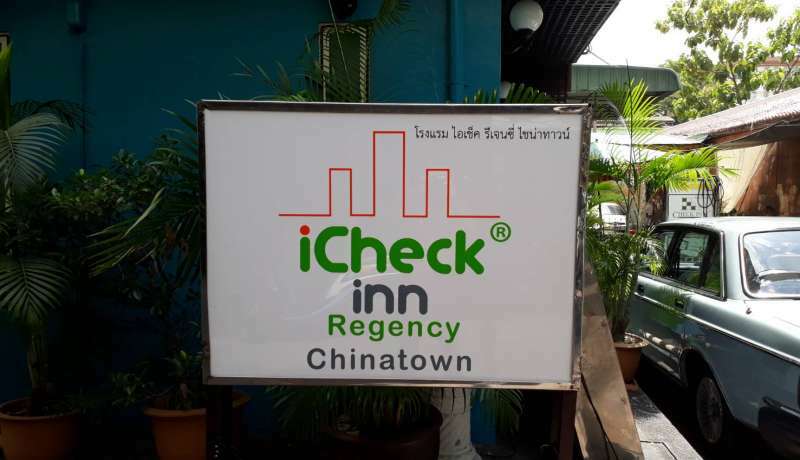 iCheck inn Regency Chinatown is located in the heart of Bangkok's Chinatown district. It is the main business area for textile, gifts, souvenirs and gold markets. The streets are filled with restaurants and stalls that will allow you to eat till you drop. The food stalls are conveniently opened 24 hours a day. The location also situates you close to the Chaophraya River, making it easy to access the historical tourist section of the city and also visit the Grand Palace, Wat Arun and the world famous Reclining Buddha. Public transport options are available in the form of a bus stop around the corner or the Hua Lamphong metro and train stations a 15-minute walk away. Convenient located on Yaowaraj Soi 8 or Charoen Krung Soi 14, China Town Area of Bangkok. 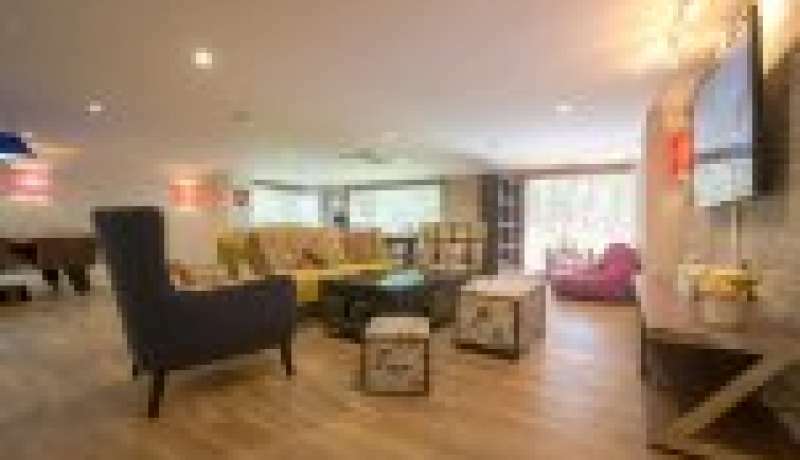 The property accommodates guests in 34 stylish, modern and inviting rooms which provide an en suite bathroom, a kitchenette, a TV, free Wi-Fi, a telephone, safe, tea- and coffee-making facilities, air conditioning and a hairdryer. The hotel additionally offers 24-hour reception, a lift and a bar. 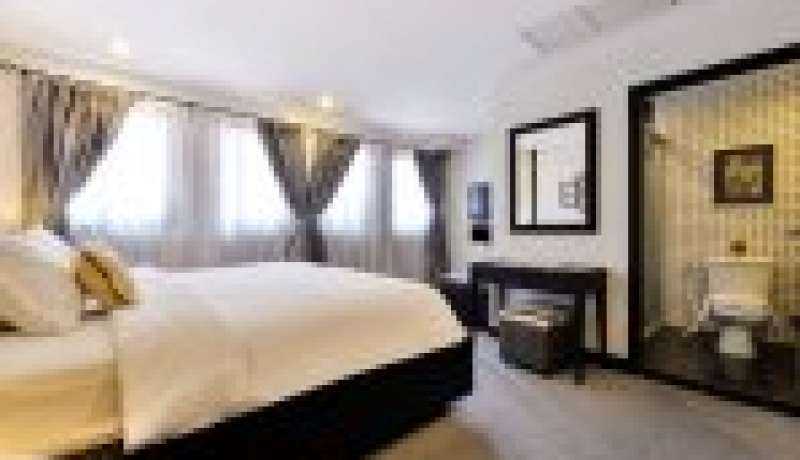 The hotel offers a choice of deluxe rooms with twin or king size beds. Breakfast is available daily at the roof top restaurant. 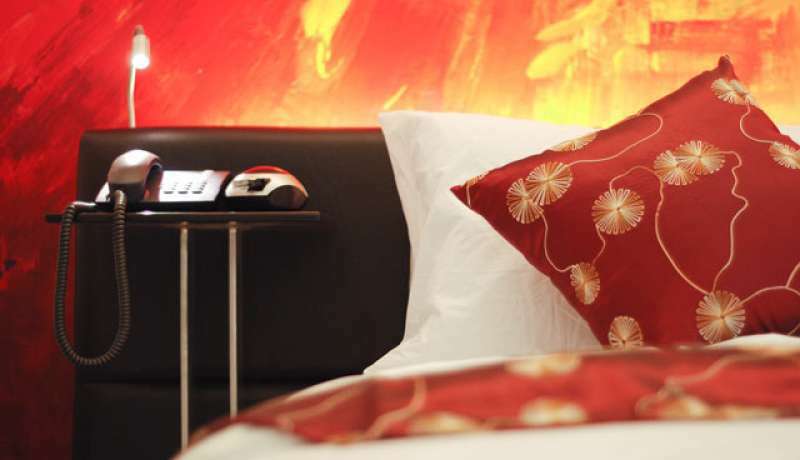 Our 3-star hotel offers free Wi-Fi and a/c is situated in the centre of the city's Chinatown. 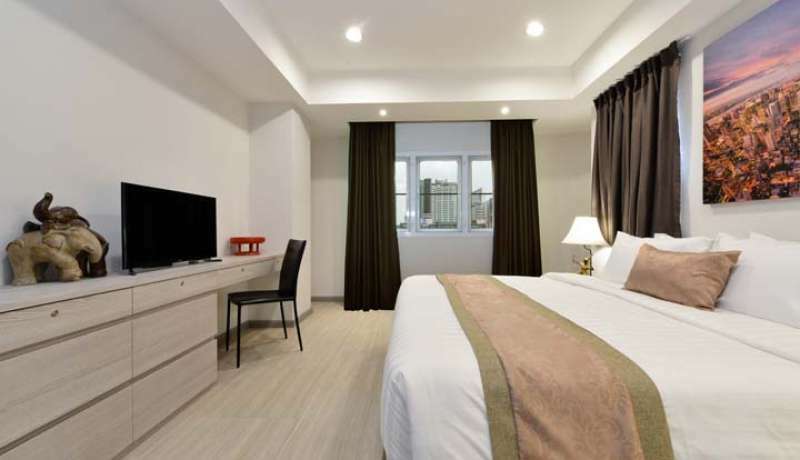 iCheck inn Regency Sukhumvit is located at Sukhumvit 41, in the heart of Sukhumvit Road, It is just a walk away from the Phrom phong BTS Station which connects you to prime shopping venues and major business centers of Bangkok. At iCheck inn Regency Sukhumvit, you can relax in the peaceful surrounding of a home in a carefully designed and tastefully furnished rooms with kitchenette. Here all guests can enjoy a memorable stay, whether for a pleasurable urban holiday or a business trip. Private and elegant living in an impressive residential setting.iCheck Inn Residences Sathorn offers stylish and spacious serviced residences, perfectly located to meet the needs of international business executives, leisure travelers and families. From its central position in a quiet side street off Soi Narathiwat 24, iCheck inn Sathorn offers an ideal residential escape, just minutes from Bangkok’s leading business and entertainment districts. This newly appointed 8 storey property combines stunning city views with lush green and tranquil surroundings. Each of 53 units, cleverly designed to make the most of both space and comfort within a stylish and contemporary setting. 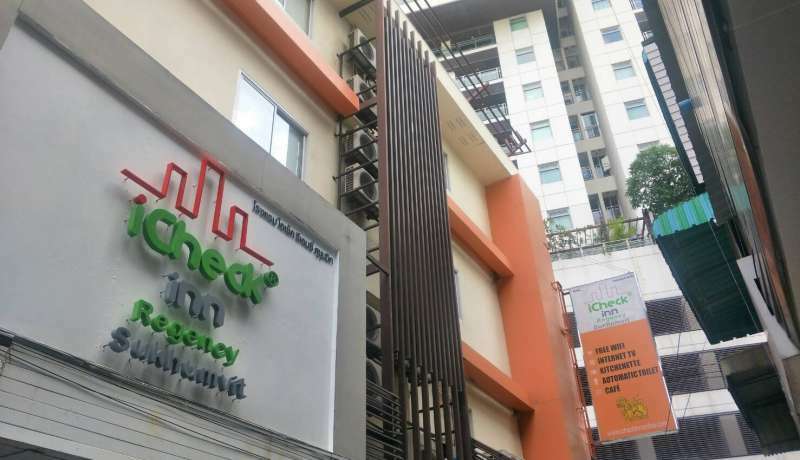 iCheck inn Residences Sukhumvit 20 is located in the popular Soi 20 and has one of the best locations for a Boutique Hotel on central Sukhumvit road. The hotel offers comfort with creativity, service with style and function with form. 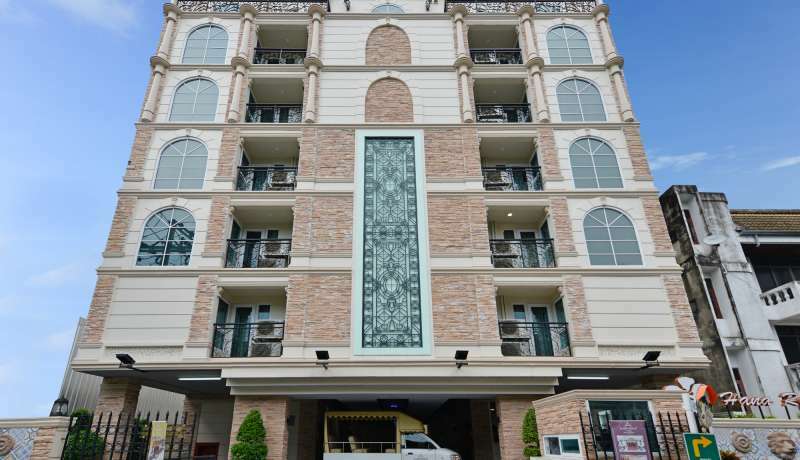 iCheck inn Residences Sukhumvit 20 situated just a 5 minute drive away from Asok BTS Station, linking to the Suvarnabhumi Airport rail link and the MRT underground, giving you easy access to Bangkok. For shopping a 5 minute drive to Terminal 21 shopping mall and Robinsons. 10 minute walk to Emporium Shopping the heart of Bangkoks Sukhumvit District. For the kids visit the new Dinosaur Planet Bangkok with special features and rides, perfect for an fun all day outing. A great choice for families, couples and young travellers, iCheck inn Silom offers chic and affordable accommodation in one of Bangkok’s most popular city centre settings. Just a few minutes’ walk from many of the area’s best shopping and dining. Despite its central location, the hotel’s semi private frontage, situated down a quiet side street, offers guests a respite from the hustle and bustle of Bangkok life. A pleasant 10 minute walk to BTS Surasak, means that Bangkok’s other famous landmarks and attractions can be easily explored. iCheck inn Silom is home to 26 stylish bedrooms perfectly furnished to ensure maximum comfort. Featuring a nice blend of vibrant colours and sleek fittings each room is fully air conditioned and equipped with a host of state of the art facilities such as a flat screen cable TV, DVD player (upon request), mini bar and refrigerator(upon request). In addition to this, complimentary Wi-Fi is available throughout all areas of the hotel. For guests looking for affordable and modern accommodation in the heart of Bangkok, look no further than iCheck inn Silom. iCheck inn Skyy Residence, Sukhumvit Soi 1, Bangkok, offers luxury and outstanding service to satisfy the most discerning traveler. We are conveniently located in Bangkok's Sukhumvit district near the central business area, shopping attractions, city landmarks and vibrant nightlife. It is a convenient 5-minute walk to the Phloen Chit BTS station and Nana BTS Station and directly opposite the renowned Bumrungrad International Hospital and Arabic streets. Also within easy reach are corporate offices, embassies and the Queen Sirikit National Convention Center. 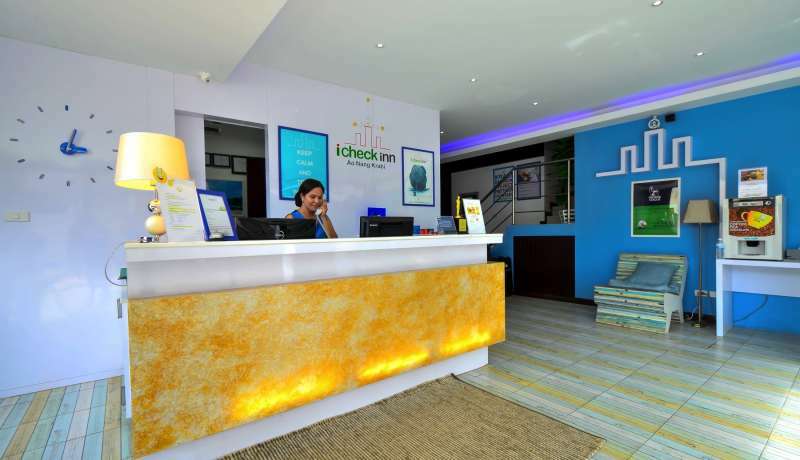 iCheck inn Skyy Residence offers a choice of Studio residences with one or two-bedroom layouts. From 35 sqm to 115 sqm, each residence has a separate bedroom, living and kitchen area. Every apartment is designed to allow you to relax, live, work and entertain in comfort. King size beds. Choice of one or two bedroom apartments. iCheck inn Sukhumvit 22 is a good choice for families, couples and young travellers, iCheck inn Sukhumvit 22 offers chic and affordable accommodation in one of Bangkok’s most popular city centre settings. The stylish air-conditioned rooms feature a flat-screen television and minibar. The private bathroom has amenities and shower. Each is equipped with a satellite TV and personal safe. iCheck inn is home to 20 stylish bedrooms perfectly furnished to ensure maximum comfort. Featuring a nice blend of vibrant colours and sleek fittings each room is fully air conditioned and equipped with a host of state of the art facilities such as a flat screen cable TV. 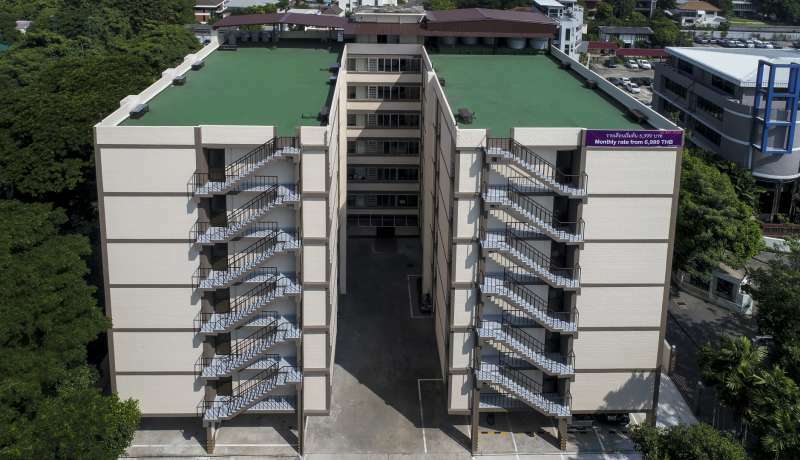 Located in Bangkok's Klong Toei District, it is a 15-minute walk from Phrom Phong BTS Skytrain Station. iCheck inn Sukhumvit 22 sits along Sukhumvit Road Soi 22, about 900 m from Seafood Market and Queen Sirikit National Convention Centre. It is about 19 km from Suvarnabhumi International Airport. 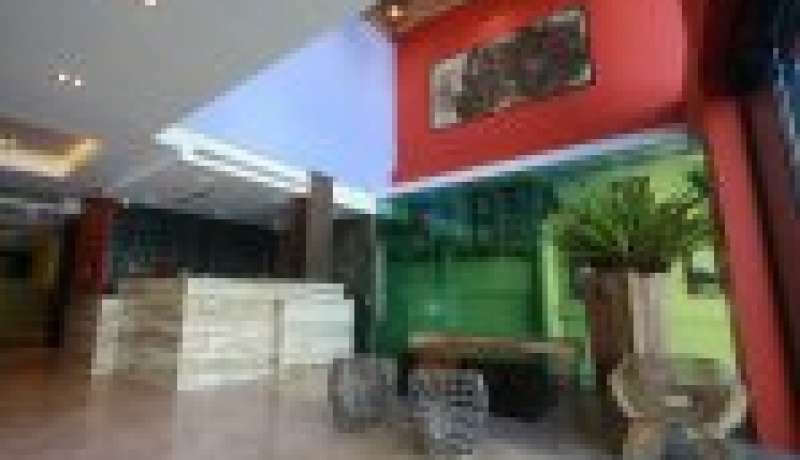 Nearby cafes and restaurants are available as well as local groceries and supermarkets. Queen Sirikit National Convention Centre is 1.1 km from Sukhumvit 22, while Samitivej Sukhumvit Hospital is 1.3 km away. The hotel is a mere 10-minute walk from Carrefour and Tesco Lotus. It is just 5 minutes' by free tuk-tuk shuttle from Emporium Shopping Centre and Phrom Pong BTS Skytrain Station. Free WiFi is available throughout. iCheck inn Sukhumvit 19 is ideal for shoppers, business people. Conveniently located near large shopping malls. En-suite bathrooms include a walk in shower with a selection of complimentary toiletries. Free high speed Wi-Fi available throughout, the hotel also has a 24-hour front desk. Situated just a few steps away from Asok BTS Station., linking to the Suvarnabhumi Airport rail link and the MRT underground, giving you easy access to Bangkok. iCheck inn Trams Square is located in Chiang Mai, the largest and most culturally important city in the north of Thailand. This newly built property offers 188 rooms and apartments in separate low rise buildings, decorated to the highest standard providing all the necessities that the sophisticated traveler will require. It offers holidaymakers and long stay residents modern rooms and hotel facilities with a wellness approach in a tranquil environment. 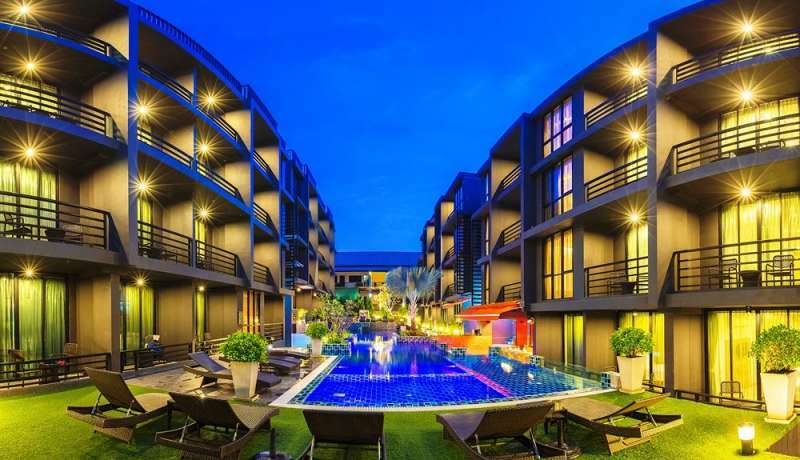 Located in Chiang Mai, 1.6 km from Kad Suan Kaew Shopping Centre, iCheck inn Trams Square boasts 180 rooms, a restaurant, fitness center, spa centre and hot tub. The resort has a year-round outdoor pool and sun terrace, and guests can enjoy many healthy meals at the all day dining restaurant. A relatively new addition on the Bangkok hostel scene, situated just minutes from the Nana BTS Skytrain station and a short walk to the Nana nightlife area. The hostel is hidden down quiet in Soi 4, a real haven away from noisy and crowded Sukhumvit, yet with easy access to all the drinking, dining, and nightlife in the area. 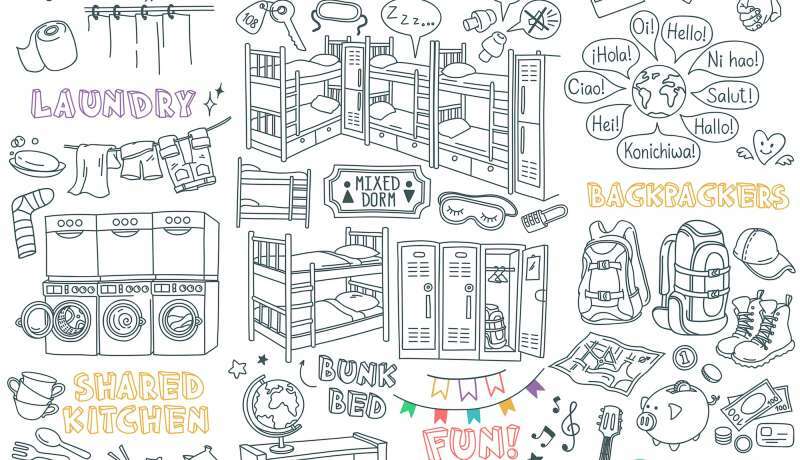 The hostel offers stylish dormitory rooms with air-conditioning, non smoking rooms and free Wi-Fi. Guests can enjoy their favorite drinks at the bar. Stable Lodge features 51 contemporary bedrooms incorporating the Scandinavian style with beech wood furnishings, all with mini-bars, air condition, telephone, satellite TV, bathroom amenities and private balconies. Stable Lodge hotel Bangkok offers comfortable rooms, outdoor swimming pool, indoor and outdoor restaurants, complimentary Internet Wi-Fi access and in-house travel agent. 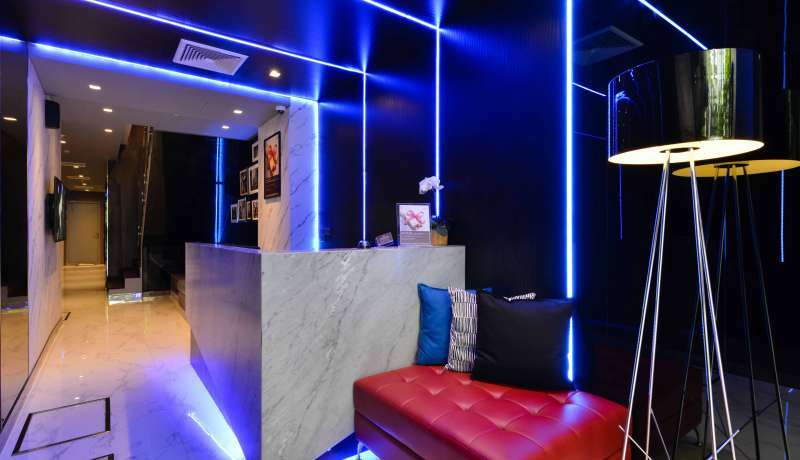 This Bangkok hotel is conveniently situated in one of the city’s busiest business districts, Asoke, also well-known for its fun nightlife scene. The hotel is conveniently accessible to other places of interest in Bangkok by way of either the Asoke BTS Station (above ground) or Sukhumvit MRT Station (underground). 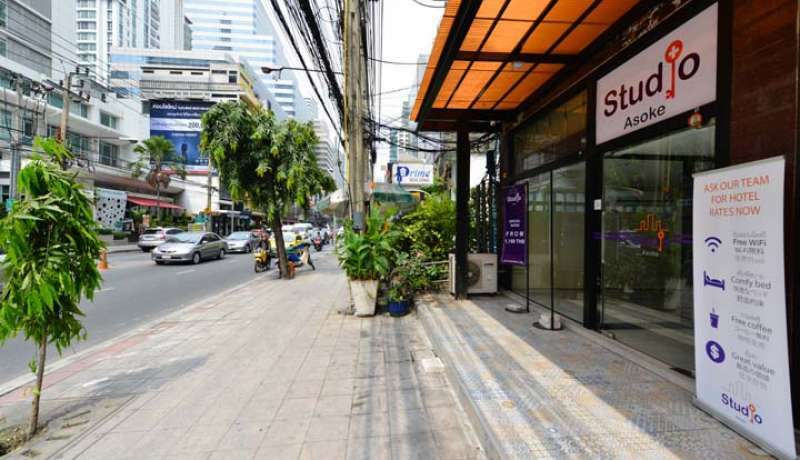 Studio Asoke, Bangkok is located in the centre of the capital, allowing guests to enjoy the convenience and comfort of staying in a hotel that is close to all key attractions and business centres. The property is a short walk from the Bangkok Transit System (BTS Skytrain) Asoke Station and the Mass Rapid Transport (MRT Subway) Sukhumvit Station, providing guests with excellent staging points to explore the city. It is also close to major shopping malls such as Terminal 21, business centres, hospitals, and outstanding restaurants. Terminal 21, the popular travel-themed shopping mall is also directly accessible via Asoke BTS and a two-minute walk from Studio Asoke. Entertainment zones like Soi cowboy are a few minutes walk away. The 20 stylishly-furbished guestrooms offer comfort with deluxe amenities and facilities including Wifi connectivity. Select from a choice of room types - Superior / Deluxe rooms that cater to the travel needs of business and leisure guests. All rooms have a soothing power shower, quality linen, and many other features including air conditioning, a workstation, an in-room safe, and a 32-inch flat screen TV. There are no hidden costs in the room rates or the amenities we provide. For the comfort and convenience for you, the hotel offers safety deposit boxes, free toiletries, Wi-Fi in rooms and public areas and 24 hour front desk. This boutique hotel provides a most ideal spot for you to take a break from your busy days and offers superb value for money. Welcome to Studio Ekamai Hotel ! 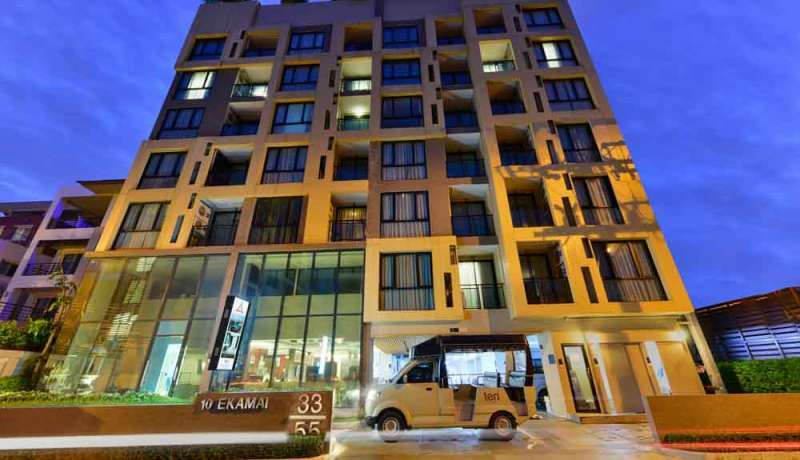 Studio Ekamai is a brand new 3 stars boutique hotel in Sukhumvit near Soi 65. 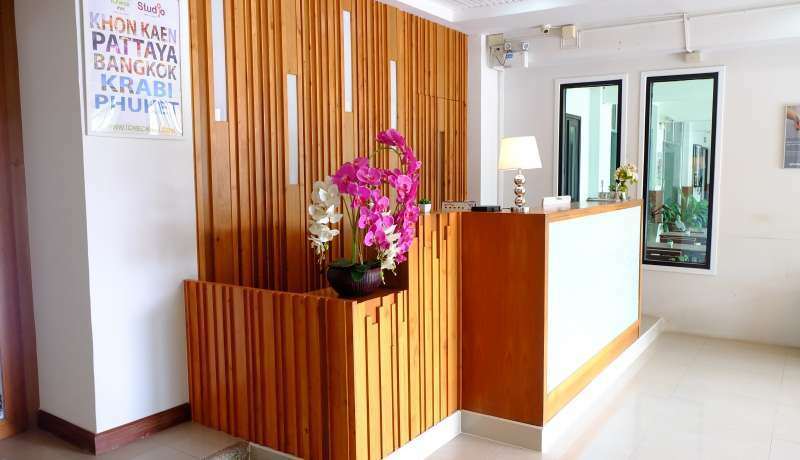 The hotel is located in serene area and only a 10-minute walk from Phra Kanong BTS station. The hotel provides easy access to hospitals, dining, shopping, leisure and entertainment in both Ekamai and Phra Kanong areas. This Bangkok budget hotel offers 30 modern air-conditioned rooms with a bright, contemporary interior. Each room is fitted with a flat-screen cable TV, electronic safety deposit box. En-suite bathrooms include a walk in shower with a selection of complimentary toiletries. Free high speed Wi-Fi available throughout. Studio Ekamai by iCheck inn also has a 24-hour front desk. The hotel offers the city hotel experience with great comfort and at great prices. It is located right on main Sukhumvit Road - the Sky train stations are within 10 minutes walk. Around the neighborhood are business area, commercial area, and entertainment zone, the nearest shopping center is Terminal 21 and others like The Emporium and The EmQuartier. Guests are presented with 30 stylish guest rooms that are decorated in a sleek & contemporary style with the needs of travelers in mind. The 13 sqm Superior rooms and 16 sqm Deluxe rooms are fully furnished and equipped with deluxe amenities. Each room provides 32-inch flat-screen TV with satellite channels, free Wi-Fi Internet access, and refrigerator. Free coffee & tea is available all day at the lobby. The hotel is 100% smoke free hotel built to appeal to the tranquil elegance amidst the vibrancy of Bangkok with rhythms of healthy life. Previously knows as Lawan Place, Studio Khon Kaen is part of iCheck inn Hotels & Resorts and is located in the Ban Phai district of Khon Kaen on Chata Padung. 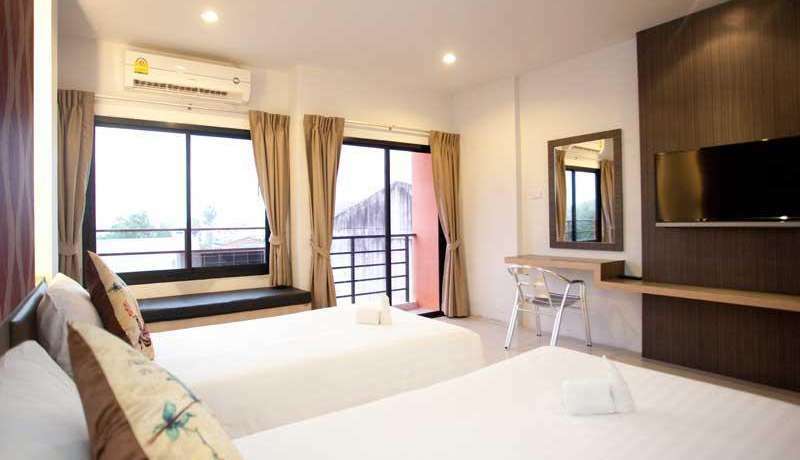 Conveniently located in Khon Kaen, Studio Khon Ken is a great base from which to explore this vibrant city. 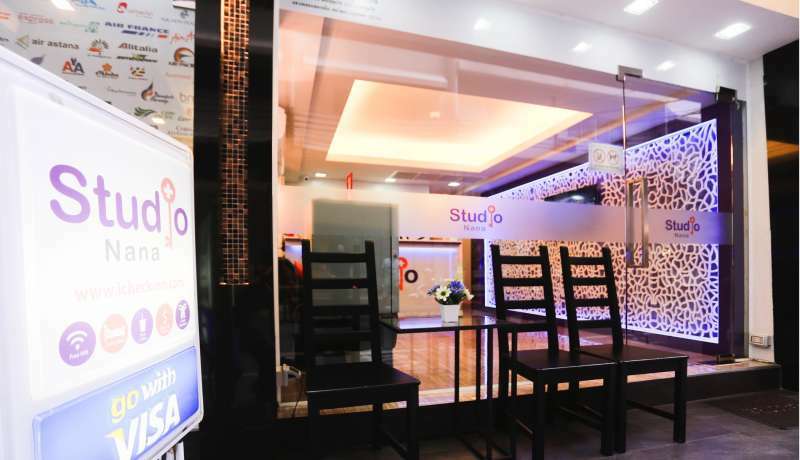 Studio Nana is located in the popular Sukhumvit Soi 11. The property offers 37 modern air-conditioned rooms with a bright, contemporary interior. Each room is fitted with a flat-screen cable TV, electronic safety deposit box. En-suite bathrooms include a walk in shower with a selection of complimentary toiletries. Free high speed Wi-Fi available throughout, the hotel also has a 24-hour front desk. Situated just a few steps away from Nana BTS Station., linking to the Suvarnabhumi Airport rail link and the MRT underground, giving you easy access to Bangkok. Locally a variety of restaurants, some with live music and a selection of bars ranging from Australian, Irish to Trendy and nearby nightclubs. For shopping a 10 minute walk to Terminal 21 shopping mall and Robinsons. Watch the world go by visiting one of the local and international brand coffee shops. Groceries visit Villa supermarket which offers local and international food and beverages. 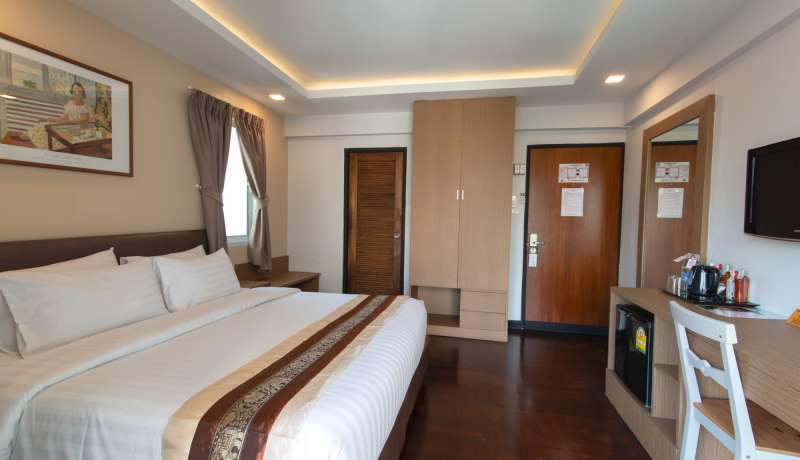 Studio Patong features 24 non smoking deluxe rooms in Patong. We provide full services and amenities. All rooms have air conditioning, a fridge, kettle and cable TV. The front desk is available 24/7 and they will help you to take care of many things from dry cleaning to laundry services, sightseeing, car rental, maid service and more…just enjoy your holidays! The hotel has its own restaurant that serves breakfast with both European and Asian cuisines. 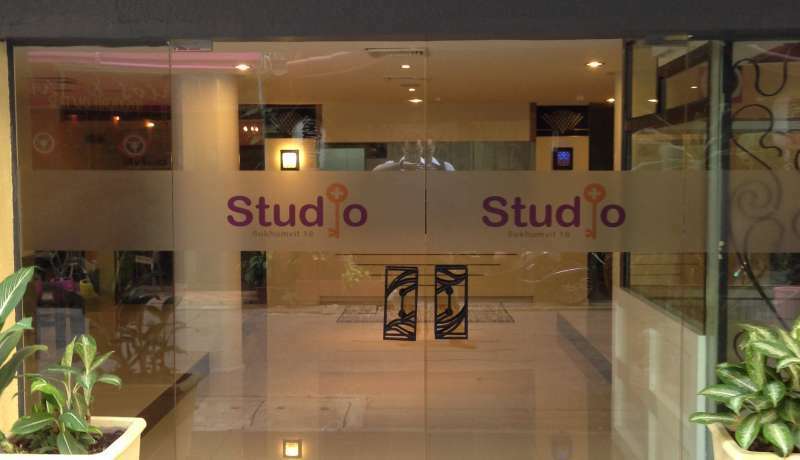 Studio Patong is ideally located on Ratuthit Road, Patong Kathu, 10 to 15 minutes walk to Patong Beach/ 15 minutes walk to Jungceylon Shopping Mall, and designed in a modern contemporary style with comfortable facilities and functional space. With enticing restaurants nearby, enjoy the vibrant night life of Phuket and day time activities at the beach. The hotel is only 30 minutes from Phuket International Airport. Studio Residence Bangkok Sukhumvit 71 Phra Khanong is a fully renovated 3 stars residence located in Sukhumvit Soi 71 towards Phra Khanong area. The apartment complex is located in serene area and only a 15-minutes from Phra Khanong BTS station and 5 mn to Airport link. The residence provides easy access to hospitals, shopping, leisure and entertainment in both On Nut and Phra Kanong areas. 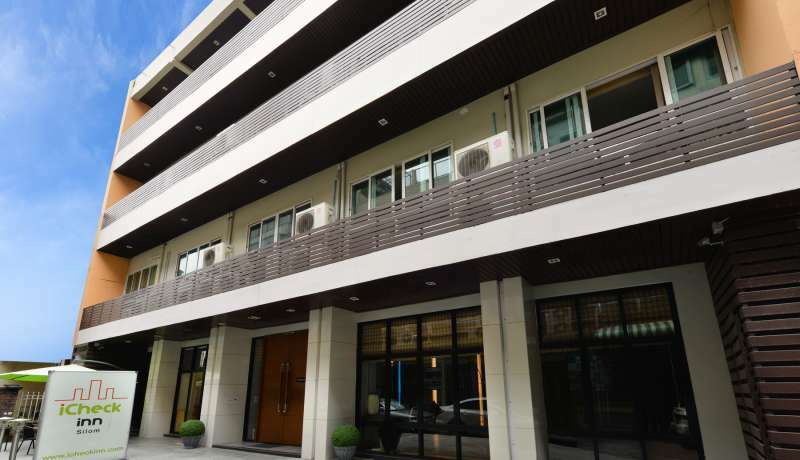 This Bangkok budget residence offers 150 modern air-conditioned units. Each room is fitted with a flat-screen cable TV, electronic safety deposit box. En-suite bathrooms include a walk in shower with a selection of complimentary toiletries. Free high speed Wi-Fi available throughout. Studio Sukhumvit 71 also has a front desk (service till 23.00 hrs), a fitness center and rooftop self service laundry area. Around the neighborhood are business area, commercial area and local markets. The residence part counts 50 guest rooms with 20 sqm standard rooms, 25 sqm superior rooms and 42 sqm deluxe rooms (with a separate living room), fully furnished. The rest of the apartments are available for long term rentals, perfect for single travelers on low budget for long stays. Situated along a lively stretch, Studio Sukhumvit 11 features 23 well-designed modern rooms with free WiFi available throughout the hotel. It is surrounded by an exciting range of dining and nightlife options, as well as being just a 10-minute walk from Nana BTS Skytrain Station. Studio Sukhumvit 11 also features a popular restaurant at all times of the day for lunch and dinner. Nightclubs such as Levels and Q Bar are a short stroll away, and there are plenty of choices for bars and restaurants nearby. Studio Sukhumvit 18 an ideal choice to stay in the quiet subtle area of Bangkok. This boutique hotel provides a most ideal spot for you to take a break from your busy days and offers superb value for money. For the comfort and convenience for you, the hotel offers safety deposit boxes, free toiletries, Wi-Fi in rooms and public areas and 24 hour front desk. Each well-furnished room is fitted with a Flatscreen TV, private bathroom with hot shower facilities. Studio Sukhumvit 18 situated just a 20 minute walk away from Asok BTS Station, linking to the Suvarnabhumi Airport rail link and the MRT underground, giving you easy access to Bangkok. A variety of restaurants are in Sukhumvit 18 ranging from Thai, Indian to Mexican. For shopping a 5 minute drive to Terminal 21 shopping mall and Robinsons. 10 minute walk to Emporium Shopping the heart of Bangkoks Sukhumvit District. For the kids visit the new Dinosaur Planet Bangkok with special features and rides, perfect for an fun all day outing. Syama Nana is located right at BTS Nana! You will never be far from the city’s vibrant shopping, nightlife and business locations. Enjoy the city’s cultural attractions while enjoying our prime location and retreat place right on Sukhumvit Road. 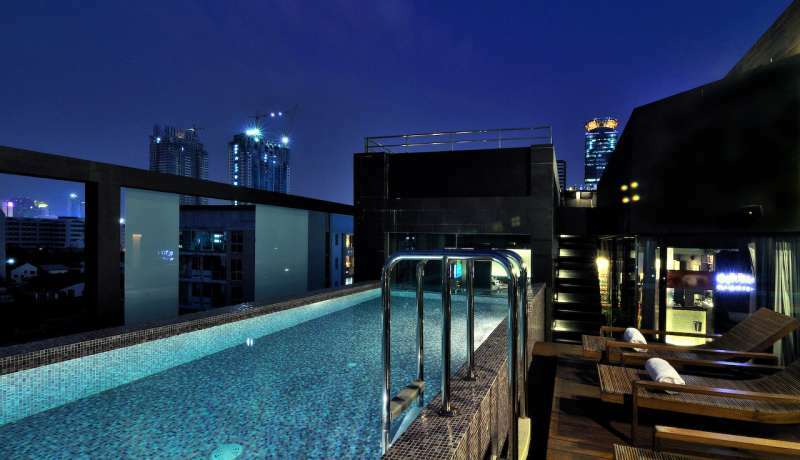 The property offers a terrific sense of value at Bangkok’s most vibrant district. Plotted at the heart of Sukhumvit Road, within easy reach of popular city and Sukhumvit landmarks, shopping centers (Terminal 21, EmQuartier, Emporium are an easy 4 stations hop by BTS), corporate offices at Asoke intersection, Bumrungrad Hospital (Sukhumvit soi 1) , QSNCC (10 mn drive) as well as nightlife entertainment complexes around Nana and Asoke areas. This newly opened property comprises of 30 modern air-conditioned rooms stylishly furnished with a bright, contemporary interior. Our guestrooms are your personal respite from the hustle and bustle of Bangkok’s city life. The property joins our collection of boutique chic hotels in Bangkok. Each room is fitted with an incredible comfortable bed, a large flat-screen TV, electronic safety deposit box, electric kettle (upon request). Our modern bathrooms include a walk in rain shower with a selection of complimentary Syama toiletries. We’re in the perfect location for those looking to experience Bangkok’s most famous nocturnal pursuits. Syama Nana provides free swift Wi-Fi plus a short stroll (2 minutes) to Nana BTS train station. From there, enjoy endless options of shopping, specialty markets, malls and eateries. Enjoy all kinds of attractive benefits and valuable discounts on accommodation at Syama hotels and partner hotels with our Club Aspira Program. Complimentary coffee / tea / chocolate is available at the lobby for all guests. Welcome to Syama where contemporary business and lifestyle worlds meet, offering a mid scale luxury experience. while being just a 5-minute walk from Nana BTS Asoke Station. It offers a mid scale luxury contemporary business and lifestyle experience. Busting with bold design, T2 Pattaya is as vibrant as its city streets with its colored- Graffiti inspired design and unpretentious friendly crew. Fitted with furiously fast internet, T2 Pattaya is home to a rooftop fitness zone where you can pump up, a quiet zone where you can tune out, game areas, and 24/7 bites and beverages. Our 39 chic rooms are fitted with the comfiest of beds, wave themed in room colors, and mood lighting that you’ll want to take with you everywhere. When you’re not lounging in front of your 42’’ TV, pop down to the bar and raise a glass of our signature torched mango vodka and lime twist to just how killer T2 Pattaya is. With a great choice of ACTIVITIES and extensive to do list while in Pattaya, the crew at T2 Pattaya will be the first to introduce you to all of these, helping you to navigate the ocean of choice. BOOK YOUR EXPERIENCES ! Located in Jomtien, T2 offers a 5 mn walk access to the beach…Get warmed up in the bustling energy of the play lounge and then unleash it on the beach for a volley ball game, race on jetskii or a explore South Pattaya nightlife….easy rides with our Tuk Tuk for day and evening rides along Jomtien Beach. Each T2 room provides a 40 inches flat screen smart TV with satellite channels, in room safe, free wi fi and 100% non smoking environment. Lobby features games, an X-inch displays, snacks & drinks available 24/7, free use of our computers, a bar with local spirits, furiously-fast Wi-Fi to remains at all times connected with your friends on social medias. Ideal for single or couple leisure / business young traveler, T2 has all the necessary amenities with a home-style touch to make you have a relaxing stay. The hotel offers a choice of twin and king size beds with quality linens to ensure a restful night’s sleep. Guests can also enjoy many benefits by booking direct as our Club Aspira loyalty program offers free upgrades, discounts, early check in and free nights. There are thoughtful design touches throughout, we have 24/7 reception support, ongoing community event series, chill spaces and a whole lot more. We took care of everything to create a space that genuinely supports a sustainable lifestyle. This is a new way to imagine home. By sharing space and resources we have an opportunity to make a hugely positive impact – together. Get to know the neighborhood, its activities, its people , its vibes and let our T2 team suggest you some of our faves.! 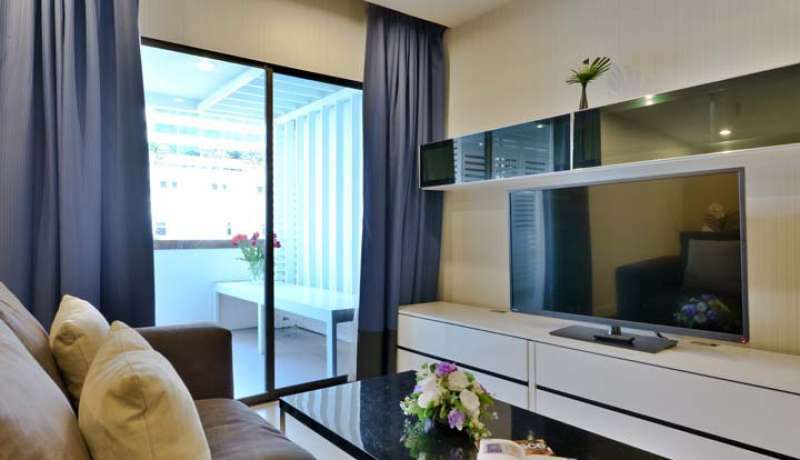 Perfectly located in Suan Plu, Sathorn, amidst Bangkok’s financial hub Sathorn in the center of Bangkok (south Sathorn Area) , T2 Sathorn Residences offers new, modern affordable accommodation with excellent facilities. With such a prime location only a short stroll from the nearest BTS (sky-train) that provides easy access to the city’s kaleidoscope of international restaurants, malls and nightlife. 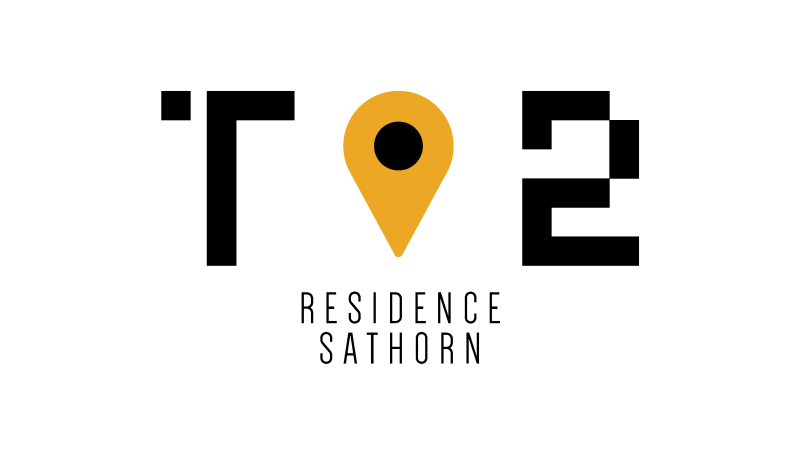 The locale is a buzz of activity that offers the modern day explore with a bounty of activities to choose from be it dining, state of the art health and fitness centers, sophisticated restaurants or a modern day juice bar to the traditional pub this location has it all. If visiting Bangkok or on a temporary assignment T2 residences Sathorn is the perfect choice to embrace the vibes and culture of Bangkok. Alternatively a short drive to the renowned nightlife and shopping districts on Silom road, is within easy grasp. A mere one hour drive to either Suvarnabhumi International Airport or Don Muang Airport by expressway is all it takes. T2 modern furnished serviced residence offers various sizes, ranging from intelligently designed one-bedroom rooms to spacious one-bedroom executive rooms and T2 Suites fitted with en-suite walk-in shower plus a workstation for when work beckons. Combining a contemporary décor and state-of-the-art amenities, the deluxe rooms (23 sqm) , one bedroom executive rooms (30 sqm) and T2 Suites (43 sqm) craft an ambience of openness with a calming energy to rejuvenate just like home. All residences include one bedroom, walk-in shower, living space, dining area, my IT space, with large daylight windows. T2 Residence Sathorn guests have full access to the residence’s comprehensive facilities such as our outdoor swimming pool, residents open air lounge plus underground limited parking. Welcome to T2 Bangkok... a captivating capital flush with stunning temples, trendy fashion, labyrinthine markets, with a plethora of the world’s best local and international cuisine. Fill your days temple-hopping, embrace the old town, zipping down the Chao Phraya River in motorized long-tail boat, wandering bustling local markets or shopping in any of the many modern megamalls of the city. At night, check out the night markets, enjoy cocktails on a sky-high rooftop bar in Sathorn Area or on the banks of the Chaophraya river… lots of exciting options available just ask our T2 crew for their best tips on where to visit and chill out. Ten Ekamai Suites by Aspira is conveniently located in one of the city’s trendiest neighborhoods for dining and night out. Nestled in the residential area of Soi Ekamai 10, the property is just minutes away from a restaurant-concentrated zone. It offers a great level of comfort and privacy to those who wish to stay in the city centre and also within easy reach to all that this vibrant capital city has to offer. The apartment has varying sizes of one bedroom to serve different capacity needs. Guestrooms are tastefully decorated with a modern design using Laminate wood integration. All room types are carefully equipped with kitchenette and all the necessities required for a truly pleasant stay. For your personal entertainment, a smart LED TV and WiFi are provided. If you prefer a city environment and want to have a long stay at the dazzling district whether on a business or pleasure purpose, Ten by Aspira on Ekamai is ready to serve you.